The Gilbert family were originally from Coulsdon in Surrey and had settled in Platt during the late 1880’s. Frederick, the son of a bailiff and the head of the family, was a general labourer and had married Elizabeth Stringer in 1875. They had a total of 13 children over a 30-year period with Harry, the eighth, born at Bassetts Cottage in Platt on 20 June 1899. Almost exactly five years later on 2 June 1904, Harry began attending Platt School and was a classmate of Reginald Ernest Bowen. 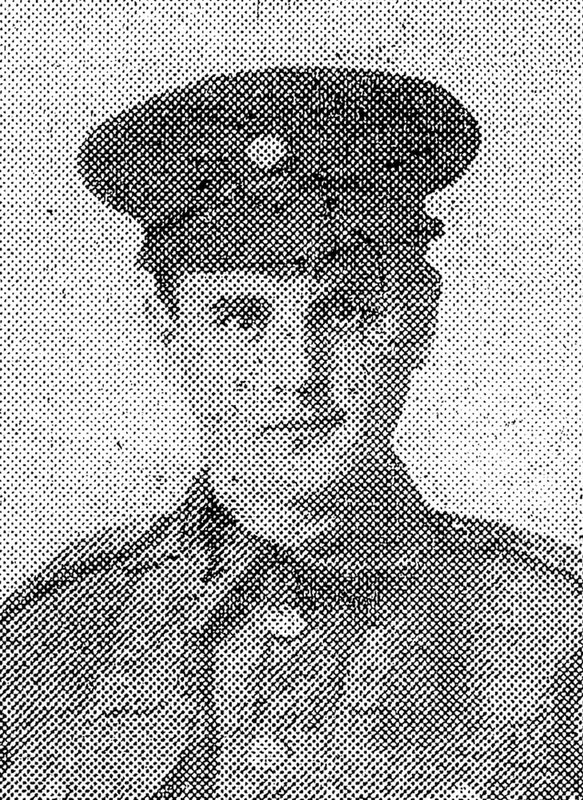 Harry enlisted in Maidstone shortly after his eighteenth birthday during July 1917 and joined the Rifle Brigade (The Prince Consort’s Own.) After a period of training, Rifleman Gilbert was sent to France on 19 June 1918 and posted to ‘A’ Coy of the 2/17th (County of London) Battalion, London Regiment. Harry is likely to have arrived with his new unit along with a draft of 214 other men near the village of Berthen on 16 July. The battalion had recently returned to the Western Front from Egypt and formed part of the 89th Brigade in the 30th Division. In early August Harry would have found himself near the Belgian border at Le Carreaux and took over the front line near Locre in the Koudekot Sector from the 2nd South Lancashire Regiment on the 14th. Three days later at 2:45 am a party of about 15 Germans raided the British front trench, causing 17 casualties in A Company, who had been holding the line. Harry was among the 17 and severely wounded in the raid. He survived until 27 August when he died at 62 Casualty Clearing Station (known as the 1/2nd London CCS) in Arneke near Dunkirk.